Dr. Jeanne delivers an exceptional lesson experience and ranks in the top 15% of our teachers nationwide. My students like to call me Dr. Jeanne, so feel free to do the same! I have been in music all my life and I love helping my students no matter what level they may be.from beginning to advanced. My experience in music started on stage at age three and by the time I was 21 I was singing and dancing on national television in many variety tv shows after having won the tittle of Miss Memphis. I studied music at Stephens College in Columbia, MO and the University of California in music andI have since taught hundreds of voice and piano students everything I know about music and performance. Piano is a joy to teach, but my greatest love is teaching voice .I specialize in all styles of music as long as I feel it is musical, developmental and expressive.. Music takes time and discipline to master and I'm looking forward to meeting you and hearing all about your goals and dreams in music and how I can help you along your path. I have been a vocal/piano stage and television teacher and coach for many years having had 4 performing arts studios in Memphis, TN and now my beautifully equipped music studio here in NW DC. I have trained many, many people who have performed in every medium of the arts and those who are even international performers today and cruise ship lead singers. I have also trained students for "America's Got Talent" and the "Voice" auditions when I feel they are ready and prepared. I am an author of an etiquette & character study for children ages 6 to 8, 9 to 12 and 13 to 17 called "God's Best Is Me, Living To Please God" and it's collaborating teacher's guide called "God's Best Is Your Child". Learn to Speak and Pronounce English Better! Watch this for how I can help you! Piano Lessons for beginning-intermediate students located in NW Washington DC near Silver Spring. Easy access by bus or metro. Dr. Jeanne Today sitting at my piano in my music studio in NW DC. This is my CD, "Make Me Your Instrument" recorded in memphis & Nashville. Located at: cdbaby.com/cd/JeanneSheffield. Check it out! Not good for young children. Inappropriate personal boundaries and discussions with parents about her own life. I absolutely love working with Dr. Jeanne! She helps me reach my full potential and I feel more confident every time. I can definitely feel my progress and a change in both my voice and my confidence after only a few lessons. Singing has always been a passion of mine and I love that Dr.Jeanne understands that passion and motivates me to do my best! So grateful to be working with her! Dr. Jeanne is THE BEST! Dr. Jeanne made me feel more than comfortable on my initial visit. I literally felt right at home. She has opened my eyes to a whole new world and way of thinking when it comes to speech. I went in thinking I was only going to go for a few sessions but after today I am definitely extending my time to utilize her talents. I am confident she will guide me where I need to be for my business endeavors. When I first met Dr. Jeanne, I was a recent college graduate who had just moved back home and was figuring out my next steps. My entire life, I’d been singing but I was looking for a little extra push and some guidance as far as my singing career. I for sure found that in Dr. Jeanne who always inspires me to do my best. Dr. Jeannee is attentive, extremely knowledgeable about her craft, and also a great mentor. During my time with her as my voice teacher, I learned so much about music and about life! She helped improve the strength of my voice, build my endurance through breathing exercises, and helped to build my confidence. In addition, Dr. Jeanne helped me with my independent recording projects and any songs that I needed help with. We worked on many pieces such as “Only Hope,” “Reflection” from Mulan, “Hero” by Mariah Carey, and countless others. For me, my lessons with Dr. Jeannie were often the highlight of my week! I enjoyed being taught by someone that genuinely loves music. Although initially I only set out to improve my singing, Dr. Jeannie eventually suggested that I try piano as well. As an adult learner. I was skeptical at first and thought that learning piano would be difficult. However, Dr. Jeannie’s patience and genuine love for music makes learning a fun and enjoyable process for any learner at any age. I would recommend Dr. Jeannie ten times over. Jeannie is an AMAZING teacher!!!! She not only prepares a student vocally, but also prepares a student in their stage presence. My level of confidence in both areas grew tremendously under her direction. Time spent with her and her teaching is still impacting my life & my performances years later!!! Dr. Jeanne makes her students feel comfortable and confident. She is good at assessing students ability and helping them to be their best. She challenged me to grow, and encouraged me in the process! I enjoy working with her and can see improvement in my voice and confidence. 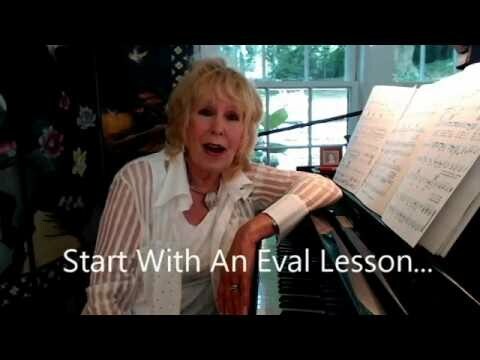 I have been taking lessons with Dr. Jeanne for almost one year. She has been nothing short of exceptional! She is incredibly considerate of my schedule and does her best to work with me whenever possible. She has become my biggest advocate for artistic expression and is constantly pushing and encouraging me to get better. In less than a year she has helped me hit a high C (and sometimes high E). She is an incredibly talented vocal performer and teacher. She relates to me as a musician which helps me gain confidence to sing and pursue music. I feel super lucky that I found her first! I definitely recommend Dr. Jeanne, especially if you have a passion for theatrical or performance arts!